WELLS, Maine — “I’ve got three dollars left,” says 13-year-old Zach, bills in one hand and a paper bowl full of chicken-lime burrito and an ear of coconut-glazed grilled corn in the other. He’s already downed half a beef num pang sandwich with cucumber and chili mayo, while a gargantuan icing-crusted doughnut awaits him on the abutting wooden picnic table. But still, he’s intent on spending those remaining dollars on something else delicious, and is going about it pretty much the same way a kid chooses which rides to spend his remaining tickets on at the fairway. That’s an apt enough analogy since, if you’re a food lover, the Congdon’s After Dark Food Truck Park feels an awful lot like a carnival. And in that respect, most grown-ups feel like kids here, too. Sure, the nightly face painters and 200-foot-long chalkboard may delight the tykes. And the classic car shows, live music, and craft beer garden may keep everyone lingering hours after they’ve finished their meal. But it’s the rotating panoply of wallet-friendly food — by turns folksy and erudite, familiar and adventurous, and often all of the above at once — that brings them all here in the first place, all summer long. 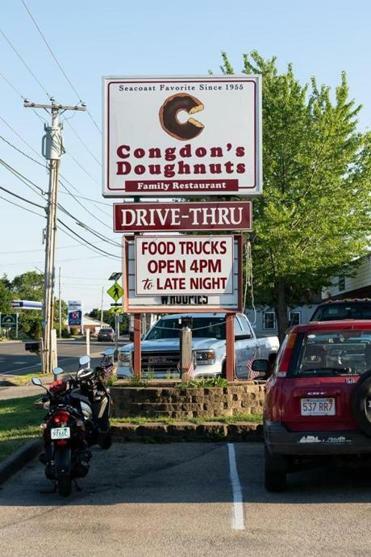 A sign for Congdon's Doughnuts and the food truck park. 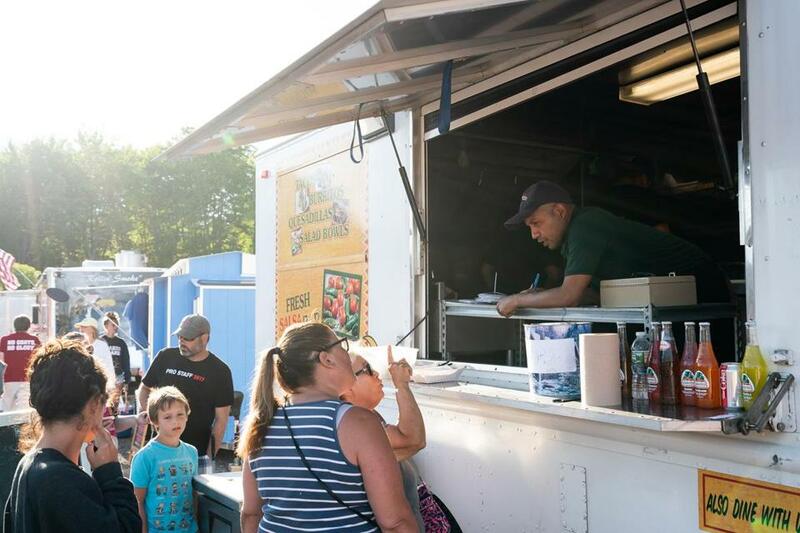 Patrons place orders at the El Rodeo Go food truck at Congdon's After Dark in Wells, Maine. And true to that, as with most things in Maine, building it had everything to do with long-held relationships. This summer, on any given night at the park, Adam’s wife, Barbara Leech, is likely working in the Congdon’s truck, while his sons are usually on trash duty. Gary usually does the rounds, checking in with everyone after his late-afternoon nap (he still wakes up at 6 a.m. every morning to be on doughnut duty in the restaurant). And the guys with one of the longest lines in the park, Chris Schofield and Matt Mills, are Adam’s old friends from high school. 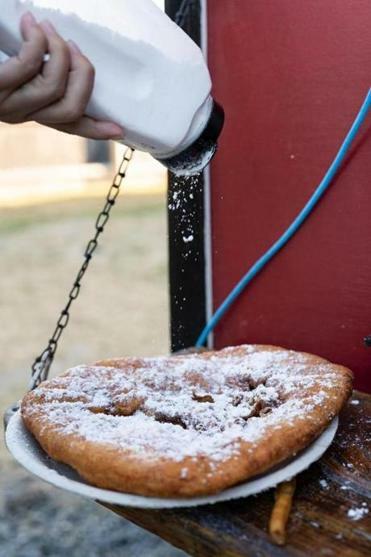 A patron puts powdered sugar on fried dough from Big Grampa's Grill food truck at Congdon's After Dark. 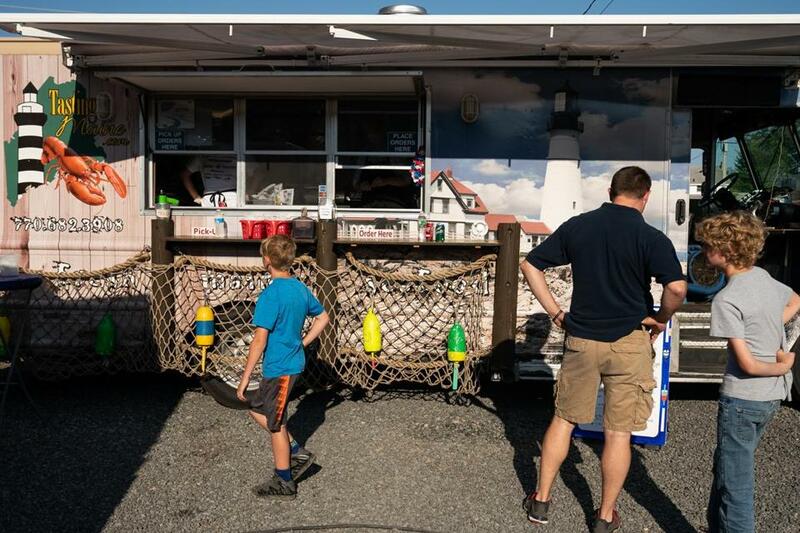 Visitors to Congdon's After Dark check out the Tasting Maine's food truck. 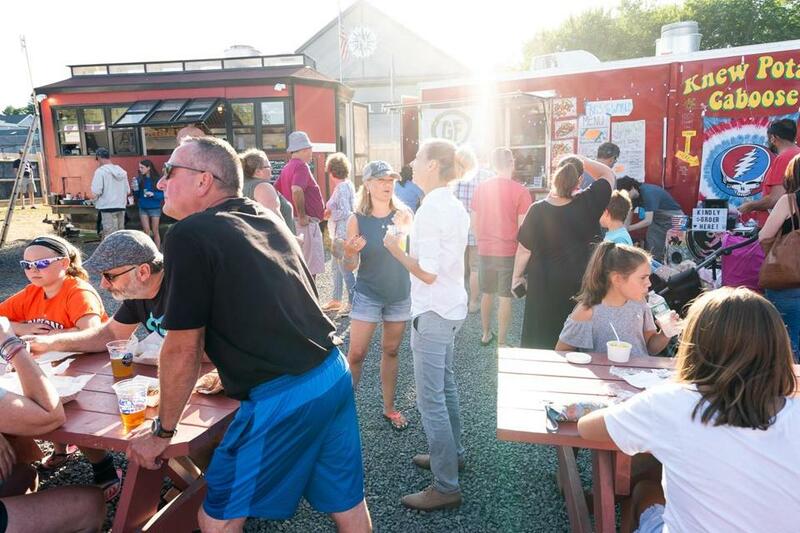 Congdon’s After Dark Food Truck Park, 1100 Post Road, Wells, Maine, 207-646-4219, cadfoodtrucks.com. Open daily, 4 p.m. until closing, most nights at midnight.